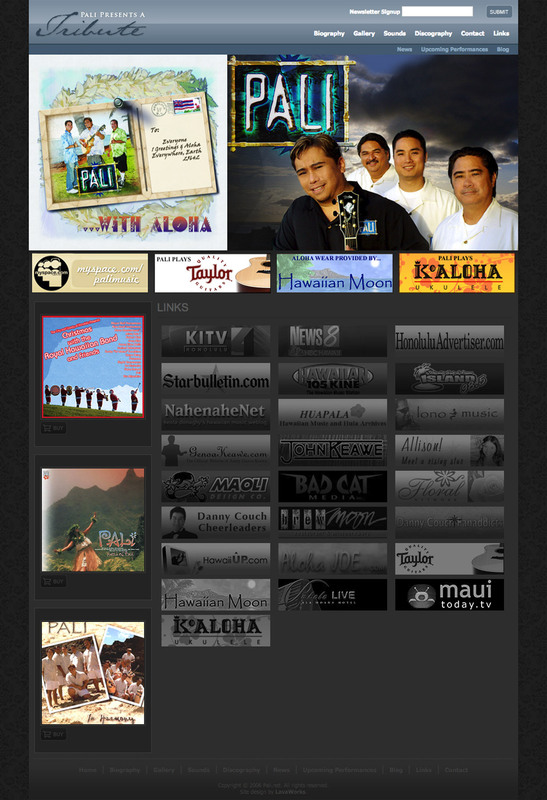 I had the pleasure of creating several iterations of the website for Pali Ka‘aihue and his award-winning Hawaiian music group PALI. Each approach utilized Hawaiian design motifs and elements. Each version of the site also had a Japanese language version. Later versions of the site also featured a custom-built Wordpress blog. 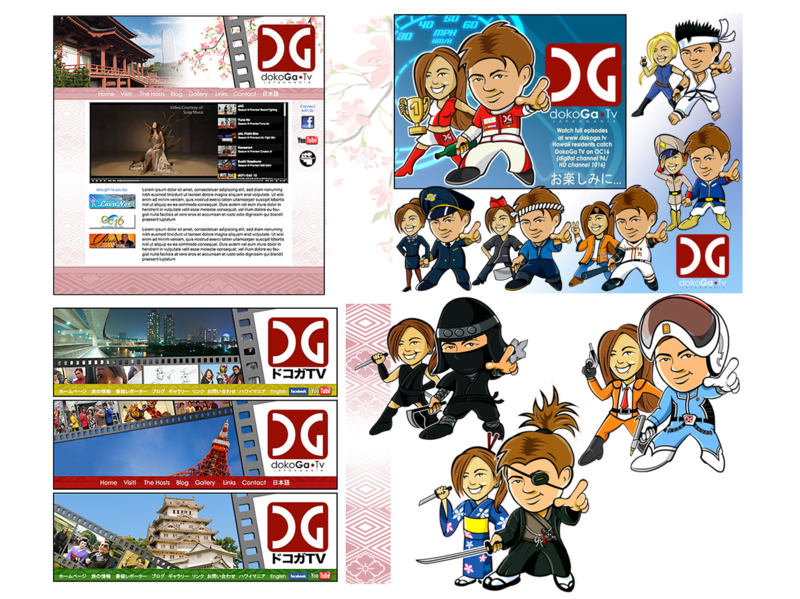 I also worked on the first two versions of the website for Pali's television series DokoGa TV. DokoGa is a Hawai‘i-based TV travelogue show focusing on the sites, sounds and tastes of Japan. In addition to building both English and Japanese versions of the site as well as a custom-built Wordpress blog, I also created a series on anime-inspired illustrations of Pali and his first co-host in different Japan-related outfits. Both sites were built using Dreamweaver, Flash, css and PHP.